Professor Klepper presents various case studies of companies in the context of their corporate governance and the management of change while confronted with a downturn in their business cycle, when their CEOs were coming under pressure to lead the change. Klepper’s core argument is that the CEO’s style needs to be matched to the business at each point in its cycle and that the board needs to intervene actively to help the CEO close any gaps between his/her capabilities/style and the requirement of the company. Because of the changing nature of the business cycle, he states that it is imperative for boards to constantly evaluate their leadership and their strategy. This helps boards and businesses at every stage of the business cycle and can help regulate the relationship between the board and its CEO. Klepper maintains both progress and change are essential for the company of the twenty-first century. To achieve both, the board and CEO must form their social contract of shared values, commitment to stakeholders, risk management, and transparency. This then provides a foundation for addressing the challenges to their strategy and alignment of their business system over time. Boards need to match up the CEO’s agenda, practices and style with what is required to progress in their business cycle. My study of corporate governance and its intersection with executive leadership and corporate responsibility led me to write The CEO’s Boss: Tough Love in the Boardroom, published by Columbia University Press in 2010.2 The intent of this book was to help the Board of Directors operate more effectively as the boss of the CEO. The Corporate Board Member (First Quarter 2014) stated: “The CEO’s Boss serves up a wealth of practical, hands-on recommendations to build a productive partnership and a plan of action for a variety of business settings.”3 The core argument was that the CEO’s style needs to be matched to the business’s point in its cycle, and that the board needs to intervene actively with the CEO to help him or her close any gaps between their capabilities/style and the requirement of the company to address its current challenges. In addressing its current challenges, the company must manage the change from its present state to its desired future state. During each of the four years since The CEO’s Boss called for Tough Love in the Boardroom, I have presented case studies of governance in companies of the twenty-first century at the annual conference of the Financial Times/Outstanding Directors Exchange (FT-ODX) in New York City. These companies were chosen because they were in the FT headlines as facing strategic challenges that required their management of change. The one exception is the Wounded Warrior Project whose case was just completed at the time of this writing, but will be used as a model for governance and managing change in the twenty-first century. In the most recent case study presentations at FT-ODX were BP (2011), HP (2012) and P&G (2013); each changed its CEO. BP, after its disaster in the Gulf of Mexico, removed its CEO and chose an insider. HP, after three CEOs in seven years, chose a current non-employee director on its board to be CEO. P&G, challenged by an activist investor, changed out its CEO for the former CEO. Let’s look at each of these companies of the twenty-first century in the context of their corporate governance and the management of change. In the aftermath of the 2010 Gulf of Mexico oil spill, a case study examining the implications for the management team and board of BP Oil was presented at FT-ODX in 2011 and published by Columbia CaseWorks.5The Gulf disaster became the most recent event to raise the question of BP’s leadership ability, including the CEO and board of directors, to manage its growth strategy and risk profile. On April 20, 2010, the semi-submersible exploratory offshore drilling rig Deepwater Horizon exploded after a blowout; it sank two days later, killing 11 people. This blowout in the Macondo Prospect field in the Gulf of Mexico resulted in a partially capped oil well one mile below the surface of the water. Experts estimate the gusher to be flowing at 35,000 to 60,000 barrels per day (5,600 to 9,500 m/d) of oil. The exact flow rate was uncertain due to the difficulty of installing measurement devices at that depth and is a matter of ongoing debate. The resulting oil slick covered at least 2,500 square miles (6,500 km2), fluctuating from day to day depending on weather conditions. It threatened the coasts of Louisiana, Mississippi, Alabama, Texas, and Florida. What was our intent (Recommendations from the Baker report)? What happened between 2007 and 2014—safety violations? Why did it happen—why do we continue to have safety problems? How can we make it better—manage concurrently our growth strategy and risk profile? It would be reasonable to assume that this AAR for post mortem has already occurred. Safety, Respect, Excellence, Courage, One Team. We demand of each other and ourselves the highest standards of individual and corporate integrity with our customers, suppliers, vendors, agents and stakeholders. We vigorously protect company assets and comply with all company policies and laws. We continually challenge each other to improve our products, our processes and ourselves. We strive always to understand our customers’ and suppliers’ businesses and help them achieve their goals. We are dedicated to diversity, fair treatment, mutual respect and trust of our employees and customers. 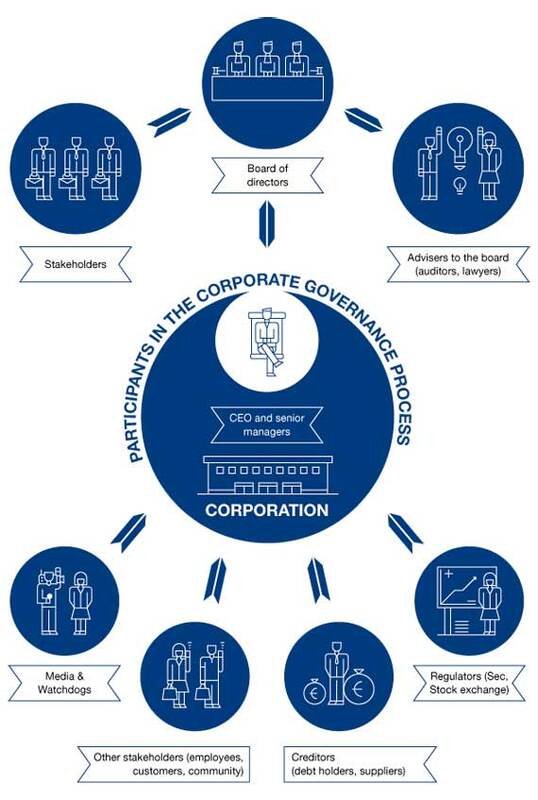 Today, these board Governance Principles have been extended to embrace all the employees of Tyco International and how they interact with its stakeholders and one another. Reading the annual reports of BP since the Gulf explosion, it is evident that there is a heightened commitment to stakeholders, risk assessment and transparency. One can only recommend that they strengthen their resolve to their commitments through a renewed CEO/board partnership—a Social Contract of their governance principles. In the case of Apotheker, it was evident that the company needed to identify and hire a CEO whose talents and approach would take the company in a very different direction from where it had been heading. The board, as the CEO’s boss, needs to know specifically, what skills, vision, approach and management style would be required of this new CEO? What criteria would a board use in evaluating candidates and making the best choice for the company and its stakeholders? A board needs to fully understand its own strategic context and intent—collectively, its strategy—before it can hope to engage productively in the process of selecting a CEO. Only then can a board move on to the next step. Determine, given the company’s position, the agenda, practices, and style required of its CEO. The board must assess the alignment of the levers of its business system (structure, process, people, culture) and identify the gaps, because these gaps will become the CEO’s strategic priorities. Achieve a degree of congruence between the strategy, the CEO, and the business system. As part of Step 1, it is not uncommon for the board to work with a management consulting firm to clarify its strategic context and revise its overarching corporate strategy. It is essential that the board start the process with this baseline analysis, as it will make apparent the specific strategic needs of the organization over which the new CEO will preside. D. C. Hambrick and J. W. Fredrickson, “Are You Sure You Have A Strategy?” Academy of Management Executive, 15 (2001), 48-59; M. Tushman and C. O’Reilly, Managerial Problem Solving: A Congruence Approach (Harvard Business Publishing, 2007). In carrying out Step 2, the board must be sensitive to the particular business cycle in which the company finds itself, as some leaders are better equipped to manage, for instance, an early stage of the business cycle, while others are better suited to manage a mature venture. The behavioral style of the CEO also matters a great deal in matching the leader to his or her circumstance. Is the prospective CEO, for instance, driving, expressive, amiable, or analytical—and to what extent does this personal style align with the current needs of the business? Attention to issues of behavior and style may be all the more pressing following a time of crisis. During Step 3, the board places its focus on aligning the business system. Every CEO candidate will want to know what is broken in the company and what needs fixing. Before speaking with prospective CEOs, the board must determine what is broken—i.e. what levers of the business system are not aligned and, therefore, not supporting the current strategy. As the board moves toward Step 4, its members must be mindful of the need for the CEO to provide both strategic leadership and strategic management. Strategic leadership requires a specific set of agendas, practices, and behaviors that will result in the “change an organization desires.” Strategic management aligns the levers of the business system to achieve that change. Once inserted into the business system, a CEO will serve either as a catalyst or an impediment to a board’s desired change. How would you align your activities as CEO to achieve the strategic objectives of the business? Does the current design of our organization provide the structure you would need to support our strategic intent? Are there any systems you feel are not aligned? How would you improve the work flow throughout the organization? What do you feel is the knowledge, skill, and information needed to improve our work processes? Do you feel our performance measures and indicators are aligned? Do you feel our employees possess the required competencies? Do you envision any changes? If so, how are they aligned with our employees’ expectations and motivations? How should we be doing things around here in support of our strategic intent? Are the norms and values aligned with yours, and if so, how? The HP annual reports that have followed the appointment of Meg Whitman acknowledge the current turnaround strategy and leadership challenge to align its business system to this change. The board recently announced that its interim chairman Ralph Whitworth, who two months earlier assumed the chairmanship when its non-executive chairman Raymond J. Lane stepped down, had departed for personal reasons and that Meg Whitman would become CEO and Board Chair. HP had separated the CEO and Chair responsibilities after terminating Carly Fiorina in her CEO and Chair position in 2005. The elimination of the non-executive chair is not without controversy.23 Meg Whitman in her combined role of CEO and Chair will need to achieve congruence on two fronts: CEO alignment with the strategy/business system as well as congruence in the alignment of the CEO/board partnership which raises the preceding recommendation to BP to renew their Social Contract, its governance principles. McDonald’s accession to the top job at P&G had been the product of a careful, years-long succession planning process. As Lafley put it, “We benchmarked internal candidates against strong external CEOs that our directors knew. We concluded that an outside option wasn’t needed and wouldn’t be as good a fit for P&G.”26 McDonald, in many ways, was Lafley’s handpicked successor. He and Lafley had spent most of their professional careers at P&G and had developed together its growth strategy of moving into emerging markets around the globe. Now under McDonald’s tenure, P&G was underperforming against the competition (Colgate-Palmolive, Clorox and Unilever) from 2009 to 2012; and Unilever had been well established in the emerging markets space from which Lafley and McDonald believed its revenue growth would come. In 2012 William Ackman revealed that Pershing Square Capital Management held roughly 1% of P&G’s shares, making him one of P&G’s largest shareholders. He immediately began pushing for change at the consumer products giant. He was respectful of the board in his public statements, but was critical of McDonald. He felt that he lacked focus and didn’t have the ability to execute the emerging market strategy while at the same time cutting cost.28Analysts also began criticizing the company along the lines Ackman had laid out. Under unrelenting pressure from Ackman and another disappointing quarter at P&G, McDonald had finally resigned, and Lafley was brought back in to take his place. Publically, McDonald’s exit was described as a resignation of his choosing, rather than an ouster by the board. It is expected that Lafley will lead a successful second turnaround of P&G during his second term as CEO. He definitely left at the end of his first term as a hero, but at the end of the first year of his second term he has yet to significantly move the needle on the P&G stock price from where McDonald left it–around $80 per share. In the future, it is recommended that the P&G board look both inside and outside the company for the best match of a CEO for its needs. BP was under similar pressure to change out its leadership and took the time to engage a professional search firm to test their inside choice. At least one outside candidate was considered with leadership agenda, practices and style that matched up with their needs. 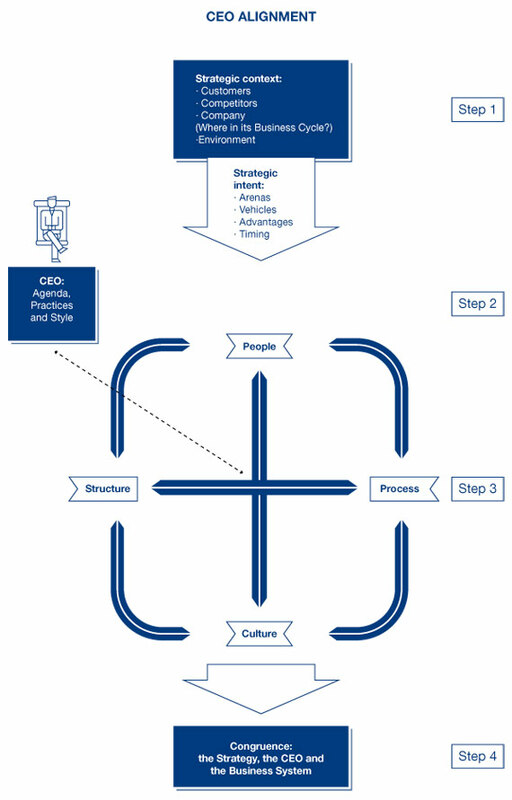 In The CEO’s Boss, an integrated leadership model is offered as a means to match the CEO’s agenda, practices and style with the company’s business cycle requirements. WWP could look back on many successes over its ten year history. By September 2012 WWP was serving 27,492 veterans; one year later this number rose to 38,954. Revenues to fund programs were over $224 million for FY 2013 (year ending in September) and were being directed to a range of programs and services, with costs closely monitored relative to program effectiveness. Yet for all the organization’s successes, CEO Steve Nardizzi and his team believed that it was facing a significant inflection point. The scale and scope of the WWP had grown exponentially in terms of the organization’s size, funding, and programs and were pushing at the boundaries of the team’s managerial and business leadership capabilities. Importantly, with the end of the US presence in the conflict zones, awareness of veterans, their sacrifices, and ongoing needs would likely fade from top of mind and the result would be a decline in funding to groups like WWP. But the mental and physical needs of the veterans would not fade. Klepper, drawn to Nardizzi’s passion for his organization’s value and mission, listened and suggested that WWP work with Korn Ferry International, a consultancy firm with specialized knowledge in the area of corporate governance. Within months, three broad areas had been identified for consideration: succession planning, the size of the board, and the composition of the board in light of future needs. The governance committee needed to make a recommendation to the board within a few short weeks. As the committee considered its options, it weighed several factors: that WWP was devoted to its mission, that either by serendipity or design WWP had so far managed to do everything right, and that the future loomed large. In 2013, two of WWP’s founding fathers continued to lead the organization. Nardizzi was the chief executive / CEO responsible for the oversight of all aspects of the organization. Prior to taking on the role in 2009, Nardizzi had been deputy executive. Albion (Al) Giordano now acted as the deputy executive/COO. Giordano was himself a disabled veteran of the US Marine Corps. WWP’s board of directors was composed of 12 men and women, with all but two having military experience. By the end of 2013 the number of WWP offices had grown to 17 with 342 employees providing programs for alumni. In an annual survey of alumni, about 45% indicated that they were meeting their individual goals, about 26% indicated they were making progress, while the remaining 29% indicated they were not making progress toward their goals. If WWP were to continue its progress in fostering “the most successful, well-adjusted generation of wounded service members” in US history, change would be needed. As the team considered the changes, it was clear that change would need to come from the top—in leadership and direction setting. Notably, it would fall to WWP leadership—specifically the Board—to create an environment that would continue to support the organization and its mission. What was less clear was whether the existing Board and leadership had the skills needed to achieve the strategic goals. A strategy had been defined but questions remained. Did the organization have the resources to successfully execute the strategy? Did the leadership have the capabilities necessary to successfully execute the strategy? And was the Board sufficiently diverse to examine the internal and external context of the organization—a skill set that would be increasingly important for the future success of WWP? Nardizzi and Giordano were two of the founding fathers of the WWP. Would their successors have the skills and competencies to lead the organization forward to the next level? Was there sufficient bench strength to take on an enterprise-wide leadership role? What were the skills and competencies needed to lead the WWP into the next decade? In 2013 WWP’s board had 14 seats (with two currently unfilled) while most groups with decision-making responsibility functioned optimally with 7-10 members. Should WWP seek to downsize the board? If it needed to change, what should be the criteria? How should board members be evaluated? Did the current board have the core competencies to provide the oversight to get the best possible results? Did board members have the strategic competencies needed to help the WWP face the challenges of the future? Were they thinking ahead to potential successors? As the WWP entered its second decade, its governance policies and practices would ensure its continued success. In addition, its CEO and board leadership share a common commitment to the WWP mission and its core values. They proactively addressed the changes required in their governance system and executive leadership over the next decade to serve wounded warriors. WWP is a model organization of good governance and leadership practices from which for-profits can profit. Intentionally address the realities of your CEO’s tenure with the appropriate amount of tough love before your company and CEO become dysfunctional. Boards can learn from those who study CEO tenure, company performance, and successful leadership behaviors. 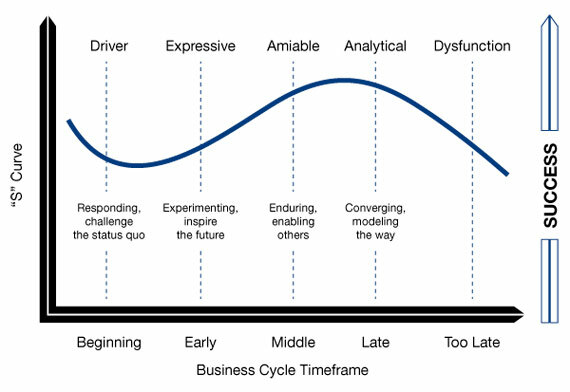 Taking this research into account can help the company thrive at every stage in the life cycle of the business. Business cycles are unavoidable and uncertain, and the board needs to face this reality and be prepared to change its leadership if the CEO cannot adjust to the changing conditions. Identify key gaps in structure, process, people, and culture, because these gaps will become the CEO’s strategic priorities. Mark Twain once stated, “You know, I’m all for progress. It’s change I object to.” Unfortunately, both progress and change are required of the company of the twenty-first century. To achieve both, the board and CEO must form their Social Contract of shared values, commitment to stakeholders, risk management and transparency. This then provides a foundation for addressing the challenges to their strategy and alignment of their business system over time. Boards need to be the CEO’s boss, exercise the Tough Love in the Boardroom and match up the CEO’s agenda, practices, and style with what is required to progress in their business cycle. This chapter is offered as a succinct means by which organizations can both manage change and progress in the twenty-first century. A more comprehensive reading of this chapter’s content can be obtained from Columbia CaseWorks (BP, HP, P&G and WWP) and Columbia University Press (The CEO’s Boss: Tough Love in the Boardroom). Keehner and Randall, “Introduction to Corporate Governance,” IBS Curriculum, Columbia Business School, 2008. W. M. Klepper, (New York: Columbia University Press, 2010). D. Scally, “The CEO’s Boss: Tough Love in the Boardroom,” Corporate Board Member, First Quarter 2014. W.M. Klepper, The CEO’s Boss, Chapter 2. W.M. Klepper, “BP: A Company in Peril?,” Columbia CaseWorks, April 12, 2012. J. Morris and M.B. Pell, “Renegade Refiner: OSHA Says BP Has ‘Systemic Safety Problem’,” The Center for Public Integrity, May 17, 2010. D. Fisher, “Memoirs of BP’s Browne Foreshadow Blowout,” Forbes, August 12, 2010. S. Lyall, “In BP’s Record, a History of Boldness and Costly Blunders,” The New York Times, July 12, 2010. G. Chazan, B. Faucon, and B. Casselman, “As CEO Hayward Remade BP, Safety, Cost Drives Clashed,” The Wall Street Journal, June 29, 2010. R. Knutson, “BP Texas Refinery Had Huge Toxic Release Just Before Gulf Blowout,” ProPublica, July 2, 2010. G. Colvin, “Who’s to Blame at BP? The Board,” Fortune, July 28, 2010. J. Werdigier, “BP Taps the Telecommunications Industry for its Chairman,” The New York Times, June 25, 2009. The BP 2011 Annual Report, March 2, 2011. W.M. Klepper, The CEO’s Boss, The Social Contract, Chapter 1. Tyco International Ltd., Board Governance Principles, amended, December 6, 2007. D. Beim, R. Biggadike, F. Edwards, and D. Sorid, “Corporate Governance at Hewlett-Packard 1995-2005,” Columbia CaseWorks, March 18, 2010. W.M. Klepper, “Hewlett-Packard: Its Board, Its CEOs, Its Business,” FT-ODX, New York City, October 12, 2012. A. Vance, “HP Ousts Chief for Hiding Payments to Friend,” New York Times, August 6, 2010. Q. Hardy, “H.P. Takes $8 Billion Charge on E.D.S. Acquisition,” The New York Times, August 8, 2012. J. Menn and R. Waters, “HP Defends Whitman as ‘Best Choice’,” Financial Times, September 24, 2011. Q. Hardy, “Meg Whitman’s Toughest Campaign: Retooling H.P.,” The New York Times, September 29, 2012. W.M. Klepper, The CEO’s Boss, The Social Contract, Chapter 6. Governance Insight Alert, GMI Ratings, July 21, 2014. W.M. Klepper, “Procter & Gamble in 2013: A Board Adrift?”, Columbia CaseWorks, February 17, 2014. “Purpose, Values and Principles,” Procter & Gamble http://www.pg.com/en_US/company/purpose_people/executive_team/a_g_lafley.shtml [accessed July 27, 2014]. A.G. Lafley, “The Art and Science of Finding the Right CEO,” Harvard Business Review, October 2011. Procter & Gamble, 2012 Annual Report, 2012. M. Farrell, “Ackman: P&G CEO May Need to Go,” CNNMoney, May 8, 2013. 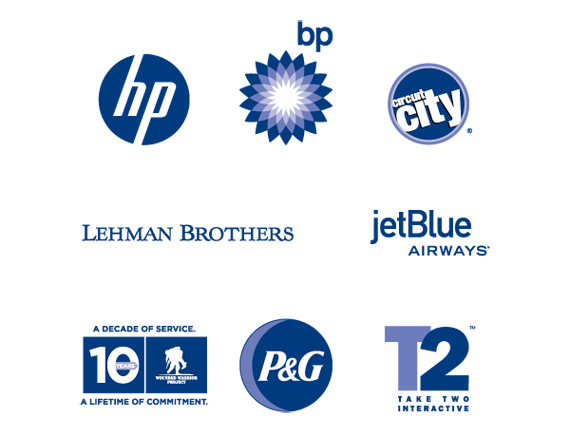 L. Coleman-Lochner, “P&G Confirms Meeting With Ackman,” Bloomberg News, September 27, 2012. W.M. Klepper, The CEO’s Boss, The Right Partnership Matters, Chapter 3. W.M. Klepper, “Wounded Warrior Project: Leading from the Front,” Columbia CaseWorks, July 24, 2014. Steven Nardizzi, interview by casewriter, Sawgrass, Florida, March 8, 2014. Applies to this and all other Nardizzi statements, unless otherwise noted. Anthony Principi, email message to casewriter, May 20, 2014. Klepper, William M.. "Governance and Managing Change in the Company of the 21st Century." In Reinventing the Company in the Digital Age. Madrid: BBVA, 2014.